Here at the Swift Agency, still a guy who’d like to be his young self again, we’re still recovering from the 56th Annual Grammy Awards. It was a long night and Taylor gave us everything she had. Looks, dress, dancing and the best live performance. She didn’t win an award. Best Country Song went to Kacey Musgraves’ “Merry Go Round” while Best Country Duo/Group Performance went to The Civil Wars for “From This Valley” during the Pre-Telecast. Best Country Album went to Kacey Musgraves’ Same Trailer Different Park while Album of the Year went to Daft Punk’s Random Access Memories. The Blonde With The Sparkly Guitar gave hands down her best performance in any award show and one of her best live anywhere of “All Too Well”. Thanks to Maria Trabalhadora and TVGN for posting! In another Red Carpet moment, make sure you check out Taylor Swift talking to Ryan Seacrest. Up next, Taylor’s headed to London to continue the RED Tour. Opening concert is this Saturday, February 1st. 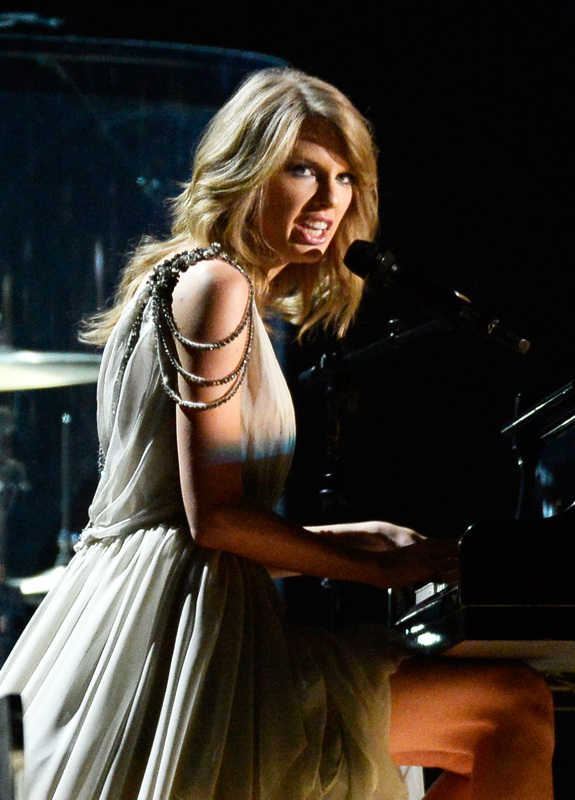 I love you Taylor swift you are my idol, you were beautiful at the Grammys and I loved your performance! Next Next post: Taylor Swift’s 49th ACM Awards nominations. Analysis and Editorial.